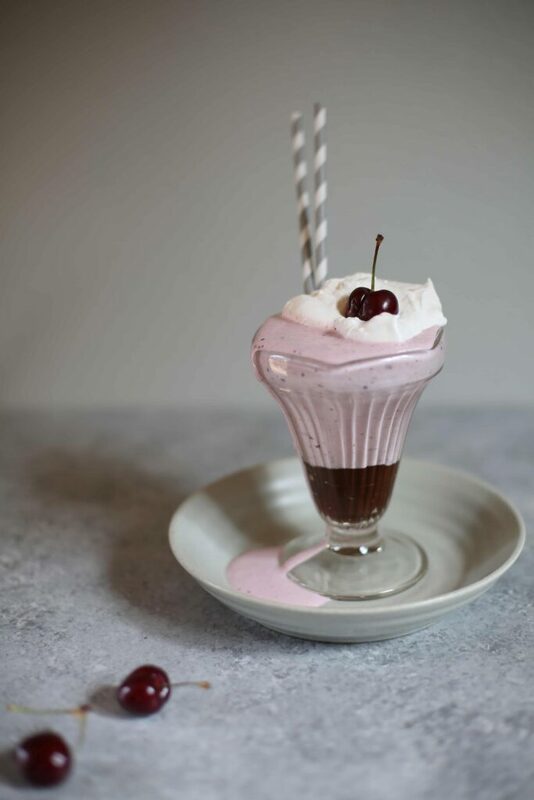 These Boozy Fresh Cherry Blackbottom Milkshakes are a decadent way to celebrate summer weekends. Oh, and you can totally skip the booze in these if you want, they’ll still be awesome. When I was sixteen years old, I worked at a fast food joint where they made milk shakes the real way. There were two big mixers with six spindles on each – and heavy-duty stainless steel cups I’d fill half-way with soft serve vanilla ice cream. My job was to add a big scoop of fresh strawberry puree or a squirt of syrupy chocolate sauce and a little milk before attaching the cups on to the giant mixers. These old-fashioned milkshakes took some time, but they were thick, cold and especially wonderful with a side of hot french fries. Every month there were special flavors—chunky fresh pineapple, mint chip, even eggnog. The part I hated was cleaning the machines after a big milkshake run- a huge pain in the neck – only to have them messed up when the restaurant got busy again. Then there was that time I didn’t put the mixers on securely. The milkshakes spun wildly out of control at a high rate of speed, flying all over my face, the walls, the french fry station and the guy flipping burgers behind me. The boss did not like this. The little hit of booze in these is nice but totally optional, and adds an amazing depth of flavor. My favorite part is the little puddle of soft chocolate ganache hiding patiently at the bottom. Grab yourself a spoon for this part. It’s decadent and delightful, and worth a try on this long weekend. In a small sauce pan, heat the cream until it bubbles on the sides and just simmers. Place the chocolate squares in a small bowl and pour the cream over the top. Let it sit for five minutes, then whisk together with a fork until smooth. 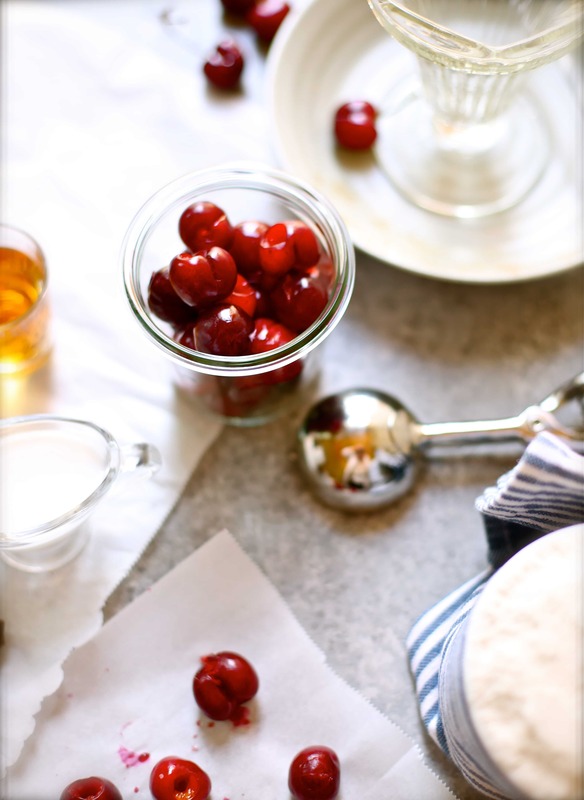 In a medium sized bowl, place the cherries and pour the brandy on top. Toss the two items together and let them sit for at least 30 minutes. If skipping the booze, just move forward and use the cherries as described in the next step. 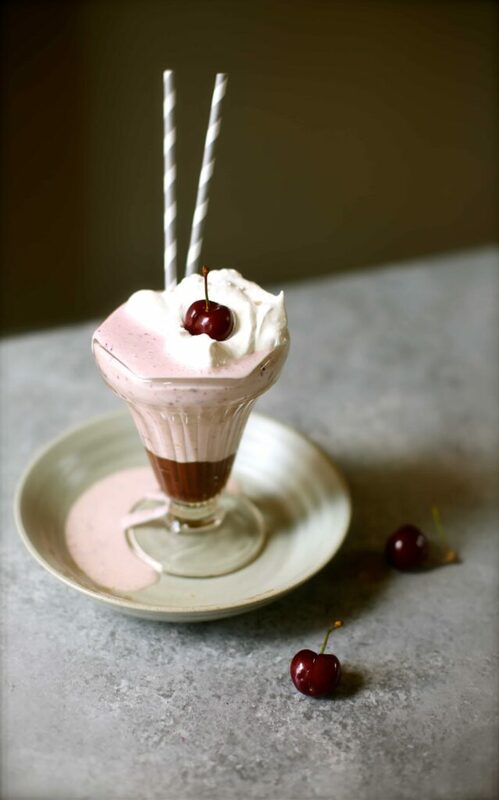 In your serving glasses, divide the chocolate ganache on the bottom, and then pour the cherry milkshake over the top. Add about 1/3 cup of whipped topping to garnish, and another fresh cherry. NOTE: I tried this using both coconut milk ice cream and regular cream and both versions were great. 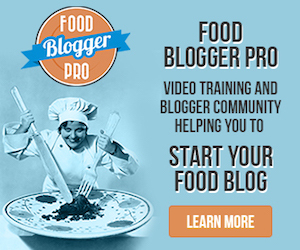 Paige, thank you for your blog post.Really thank you! Awesome. Isn't this a fun and delicious adult summer treat. I bet you could sub in other alcohols...and it would be delicious too. With the hot weather....this is perfect for the BBQ parties. Yes, you sure could play around with the alcohol, or leave it out entirely. Have fun! I love stories about things that went wrong in restaurants! I hope you secretly giggled, even though it was a mess! I love booze. I love milkshakes and I LOVE ganache, so your delightful recipe is a must do in my house!!! 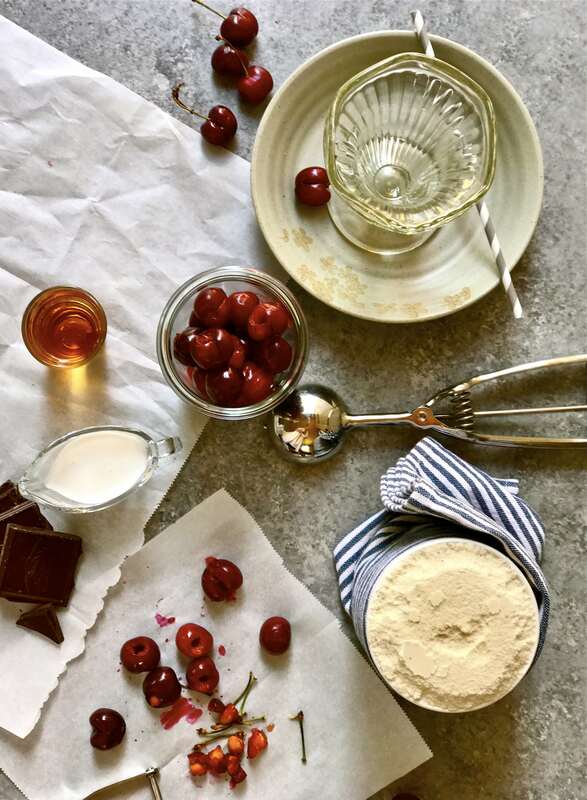 Cherries and chocolate are always a winning combo but then you add the ice cream and brandy and you have a winning treat for the Summer. Talk about elegance in a dessert, with a little kick of booze too! I love this milkshake. It is classy, decadent and delightful! Wow, this looks like the perfect summer treat!! I am going to try it without the alcohol! I bet your hair had a lot of body after the milkshake rinse. Boy!! I bet that was something else to clean up. 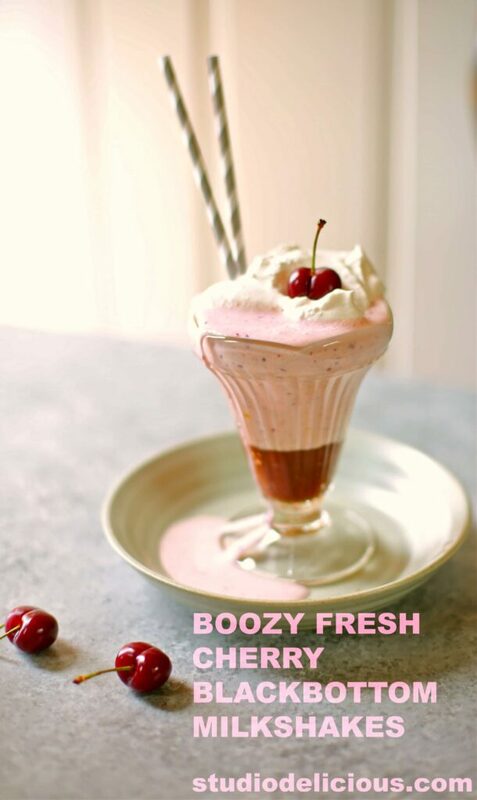 The milkshake sounds wonderful -- booze or no booze. My gosh -- I'm glad I didn't work there. Too much temptation in sampling the new flavors. This is a great recipe for summer enjoyment. Yummy!! Looks and sounds amazing! I'll take the booze at the bottom! Yum! But I'll have to make a non-alcohol batch for the kiddos at some point! What a perfect adult treat for our backyard pool party coming up! Such amazing flavors- I bet this will be a complete hit at the party! Paige, wow this looks amazing. I'm getting ideas to make it non-alcohol, you did a get job!